This ill-fated case was governed by the Agreement for the Promotion and Protection of Investments concluded between Italy and the Albania (“BIT”), Albania’s Foreign Investment Law (“FIL”) and the ICSID Convention and Arbitration Rules. In 2004, Eagle Games, a lottery tickets company, applied for a gambling permit from Albania’s Finance Ministry and was awarded a 10-year permit. Shortly after, one of the owners of the company signed a financing agreement with Burimi, an Italian company, according to which Burimi would receive 90% of the profits and 10% would be received by the owner of Eagle Games. Following this investment, Eagle Games experienced a number of changes in its ownership. Eagle Games’ request for the approval of the production of a lottery was not been processed because of the transfer of the gaming industry from the Finance Ministry to the Trade Ministry. After denying Eagle Games’ request for approval of a lottery ticket named “Fortune with you”, a new law in Albania was enacted on May 28, 2007, called the 2007 Gambling Law, revoking all permits and licenses like the one Eagle Games had obtained. The Claimant commenced ICSID arbitration seeking compensation. This award examined the Arbitral Tribunal’s jurisdiction over the dispute. With respect to the Tribunal’s jurisdiction ratione personae over the claims of Eagle Games, Article 25(2)(b) of the ICSID Convention provides that the investor must be of a different nationality than the host state. Here, Eagle Games was incorporated in Albania. However, the BIT provides an exception if the owner of the majority of capital is of a different nationality. 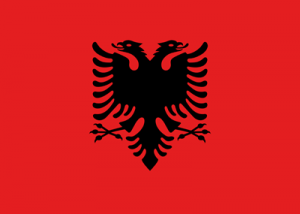 In this case, Mr. Burimi owned 65% of the capital and was a dual national of Italy and Albania. The Tribunal reasoned that Mr. Burimi could not put forward his Italian nationality under Article 25(2)(a) of the ICSID Convention, which states that “a dual national may not invoke one of his two nationalities to establish jurisdiction over a claim brought in his own name.” Therefore, the Tribunal ruled that it lacked jurisdiction ratione personae. With respect to the Tribunal’s jurisdiction ratione personae over the claims of Burimi, the Tribunal ruled that it had jurisdiction since Burimi was registered in Italy and the host State was Albania. However, the Tribunal ruled that it lacked jurisdiction ratione materiae over the claims of Burimi, because there was not enough evidence to support the allegation that Mr. Burimi’s investment in Albania was made on behalf of Burimi SRL. Having found that it lacked jurisdiction over both Eagle Games’ claims and Burimi’s claims, all other claims and requests by the Parties were dismissed.